Dr. Meng-Sheng Lin M.D. (China), O.M.D., L.Ac. Dr. Meng-Sheng Lin, O.M.D., L. Ac., is a leading authority in Chinese Medicine and complementary and alternative care. Having received her M.D. degree from Beijing Union Medical College, China's premier school of Western medicine, and her post-doctoral degree from China Academy of Traditional Chinese Medicine (Beijing), she is well versed in both Eastern and Western methods of promoting health and well-being. Dr. Lin first came to the United States in 1982 as a postdoctoral research scientist with the World Health Organization. In that capacity, she conducted research at the University of Texas' M.D. Anderson Hospital in Houston on the immuno-modulation effects of Chinese herbal medicine on immune deficiency diseases. Prior to coming to the U.S., Meng-Sheng was one of the leading general surgeons at Guang-An Men Hospital in Beijing, where in addition to her surgical duties, she conducted research, taught graduate level classes, and supervised surgical residents. Between 1987 and 1991 she worked as a surgical resident and acupuncturist with P.J. Chandler M.D. at the Richardson Plastic, Reconstructive, and Cosmetic Surgical Center. 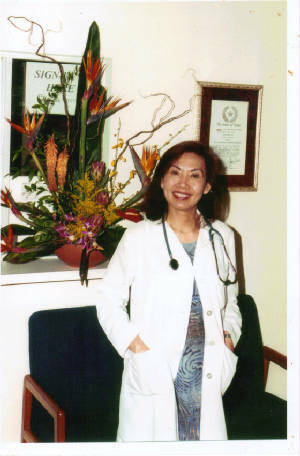 In 1996, Dr. Lin's expertise was acknowledged by her election to the Texas Board of Medical Examiners and later by her appointment as Assistant Presiding Officer from 2000-2008, and as Chair of the Acupuncture Licensure Committee from 2006-2008. On April 18, 2006 she was appointed as Honorary Surgeon General of the State of Texas. Meng-Sheng opened a private practice in 1991 where she continues to serve patients by providing the highest standard of both Traditional Chinese Medicine, complementary, and alternative care.